What a mixed bag WWE was this week. A few “Hounds” tore Raw to shreds but ended up being rewarded for it, SmackDown was incredible but had a pretty naff main event, and due to my strict rules, no heel from Raw made the list. As per usual, a superstar has to win matches, cut decent promos, and look strong throughout to earn a place on Wrestlers of the Week. Thanks to Roman Reigns, Seth Rollins & Dean Ambrose, half of the Raw roster became ineligible right from the off; but there’s still of a lot of guys from SmackDown, 205 Live, and NXT who made the cut, so let’s see who managed climb to the top. “El Idolo” was in fine form again this week, picking up a very sneaky win indeed over R-Truth. The match itself was short, but the action was everything you’d expect from these two. Almas picked up the win with a roll-up after reversing a pin attempt from Truth. True to his heelish nature though, the former NXT Champ had a handful of R-Truth’s tights. Overall, it was a nice, cheeky win for Almas. It was a bit of a nothing match, but “El Idolo” is continuing to impress. “The Demon” went one-on-one with Elias this week in what was one of the better matches on Raw. Bálor did a great job in the ring, and the crowd were solidly behind him. Elias managed to get in a good amount of offence, too. The whole thing came to a close when Bálor missed a huge Coup De Grace, but was able to get an inside cradle on “The Drifter”. I really enjoyed this match, and Bálor was able to recover nicely from his loss against Braun Strowman last week. Still, there wasn’t a huge amount on the line for either one of these guys, so I don’t think it really mattered who won. Not to take anything away from the Irishman, but he really needs a good feud to bring out the best in him, or else he’ll never rise to the number one spot on this list. It’s great to see Oney Lorcan back in an NXT ring. The Boston native looked to pick up where he left off, and he and his tag partner, Danny Burch, set to climb the NXT tag team ladder again. Squaring off against Cezar Bononi & Adrian Jaoude, it looked like Lorcan & Burch hadn’t missed a single step. They were as fluid as ever in the squared circle, and they were eventually able to put Jaoude away with an implant DDT. This was a good match that worked well as a means of bringing some attention back to Lorcan & Burch. There’s a lot going on in NXT’s tag division right now with Undisputed Era feuding with War Raiders and Moustache Mountain, so don’t expect these guys to get a look-in any time soon. Still, it was an impressive showing, and the more wins they get, the more likely it is they’ll get a big storyline soon. When comedy is done right in wrestling it can be, dare I say it, glorious. The pairing of Chad Gable & Bobby Roode threw me off a little at first, but it appears there’s something in this. Gable tagged himself in right at the start and absolutely cleaned house against The Ascension; he was hitting all sorts of suplexes like it was nobody’s business. When Gable got a little worn out, he made the tag to Roode, but almost immediately, Chad tagged himself back in to hit the Chaos Theory for the 1, 2, 3. The action from Chad Gable was simply thrilling to watch, and he looked so darn happy being with Roode. Whatever’s going on in this storyline is still in its infancy stage, so naturally I can’t rank this pairing any higher, but they certainly have my attention. Ah, the weakest segment of SmackDown’s broadcast. For some reason, WWE thought we’d love to see Brie Bella and Maryse in the main event so that’s sort of what we got. In The Miz’s own words, “You don’t deserve this match. This city doesn’t deserve this match.” Thanks, Mike, I agree. So Maryse and her hubby started making their way to the back, but Brie dragged her opponent back into the ring by her hair. Mrs. D-Bry locked Maryse in a Yes! Lock, but Miz pulled Brie out of the ring to break the hold. Daniel Bryan was having none of that though, and he and “The Awesome One” fought on the outside of the ring. The fight eventually spread into the squared circle itself where Brie & Bryan finally saw off The Miz & Maryse to a cheering crowd. This honestly felt like one of the weakest SmackDown endings for quite some time. The match wasn’t really a match, and the scuffle between all four superstars was no different to any other fight they’ve had. When all is said and done though, Brie & Bryan got the upper hand on their rivals to close the show, which gives them the momentum heading into Hell in a Cell for their mixed tag team bout. When booked right, a superstar only needs a couple of minutes to really shine, and Becky Lynch well and truly shined on SmackDown this week. Even though she’s still being portrayed as the heel, I’ve never supported a female wrestler as much as I support this badass Becky. The “Lass Kicker” definitely made her mark this week, and I love how intense and personal this feud has become just because of how good Becky’s delivery has been. I don’t think Lynch will be taking the title at Hell in a Cell, but that’s purely because I’m expecting this feud to carry on for quite a while. Becky has everyone’s attention right now; a good showing at Hell in a Cell will surely put her in a position to dethrone “The Queen” a little further down the line. It was a very good week for Drew Gulak. Not only did the man get the win for his team on 205 Live, but he now officially has a match for the Cruiserweight Championship. Gulak teamed up with Gentleman Jack Gallagher to take on Akira Tozawa & Cedric Alexander in the cruiserweight show’s main event. The match was very good indeed with suicide dives, a lovely Spanish fly, and even a little bit of blood. Gulak forced Tozawa to tap out to the Gu-Lock while Alexander was struggling outside the ring to get to his feet. With the win, 205 Live General Manager Drake Maverick granted Gulak a shot at Alexander’s Cruiserweight Championship. The match will take place next week. Even putting the great match aside, Gulak is so high up the list this week because I like the path he’s taken to get another chance at the title. He really is the heel 205 Live needs, but is he the Cruiserweight Champion the brand needs as well? We’ll have to wait and see. What are the chances that Rusev & Aiden English would become No.1 contenders to the SmackDown Tag Team Titles on Rusev Day? I swear, man, something spooky is going on here. The bout between Rusev Day and The Bar was probably my favourite match of the week. A good amount of time was dedicated to it, all four guys are great workers, and I love the continuing story that Aiden English is willing to sacrifice himself to give Rusev the opening they need to win the match. To end this match, English ate a brutal Brogue Kick from Sheamus that distracted the “Celtic Warrior” long enough for Rusev to land a Machka Kick for the win. Not only was this my favourite match, it created a feel-good moment. Some are speculating English will turn on the “Bulgarian Brute” in their tag title match at Hell in a Cell, but I think it’d be better to hold off on the turn. Imagine how emotional it’ll be if Rusev returns the favour and sacrifices himself so English can get the win, or if Aiden’s efforts just aren’t good enough to get the job done. I’m really invested in this, WWE. Please don’t go with a quick heel turn and follow it up with a forgettable feud. Once upon a time, in a land far, far away, their lived a “Samoan Submission Machine” who cut the greatest promos across the WWE Kingdom. Spectators from far and wide came to listen to the Samoan, and all who did lived the rest of their lives with fear in their hearts. For you see, the delivery of these promos was so intense that no hero was able to save them. I hope you enjoyed that, but if you didn’t, make sure to watch Samoa Joe’s SD promo from this week for a significantly better fairytale. He told us a bedtime story entitled, ‘Night, Night, AJ,’ and it was damn good. Joe’s delivery was on the right side of creepy and entertaining, and the final illustration of Joe holding the WWE Title and AJ’s family is a sight to behold. Without a doubt, this was the highlight of the week for me. Joe was menacing as ever, and the story was just lovely. On any other week, Samoa Joe would be #1, especially since he’s made his match against AJ Styles at Hell in a Cell the most can’t-miss bout on the card, but I can’t ignore the fact that a faction on Raw dominated the entire show. And so, ladies and gentlemen, allow me to present the WWE Wrestlers of the Week. Was it ever going to be anyone else? I mean, they kicked the show off by battering every heel superstar on the brand, and from there, things got even better for The Shield. Baron Corbin told them all to toddle off, but Ambrose & Rollins came back anyway to attack Dolph Ziggler & Drew McIntyre after their title defence against the B-Team. Turns out Ambrose & Rollins had a little chat with Raw’s Acting General Manager, and now they’re gonna challenge Ziggler & McIntyre for the tag straps at Hell in a Cell. But wait, there’s more! To close the show, Roman Reigns and Braun Strowman clashed on the stage and around the announcer’s desk. Naturally, the “Big Dog” got the upper hand and drove Strowman through the equipment area with a Samoan drop. Reigns stood tall with the Universal Title above his head to end the segment. There’s just way too much going on here, but it’s the only thing keeping Raw interesting. Reigns, Rollins & Ambrose had the best possible week and dominated the whole show. 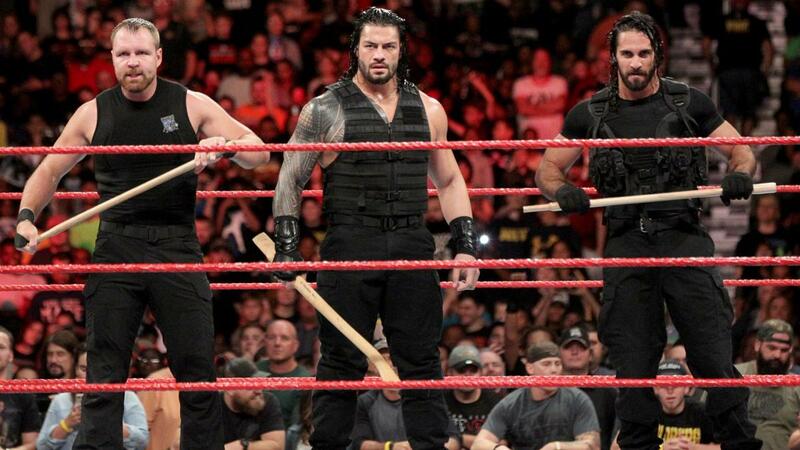 It might not be the popular opinion, but The Shield are our WWE Wrestlers of the Week. Hell in a Cell is days away, and a lot of the guys on this list have a big match at the event. Will anyone mange to knock The Shield from the top spot? Nah, probably not. Technically an adult, but no one in their right mind would call me a man. 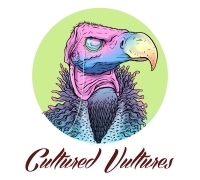 Freelance writer interested in wrestling, television, film, literature, and video games.